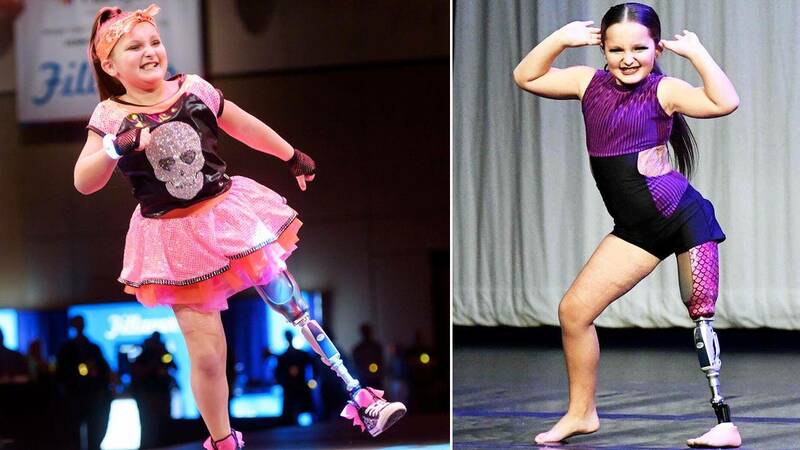 Eight-year-old Tessa Puma loves to dance, and she wasn’t going to let flesh-eating bacteria or an amputated leg stop her from reaching her dreams. The young dancer from Northfield, Ohio, is taking home trophy after trophy, even after her over-the-knee amputation. Her mom, Tina Puma, explained that her young daughter has been very much a part of the local dance community. But when Tessa was just 6 years old, in March 2017, she fell sick with what her family originally thought was the flu. Doctors originally gave Tessa a 20 percent chance of survival, but she persevered. They were able to save her life by amputating her left leg and the entire left side of her body is covered with skin grafts from where doctors cut away the infection. But Tessa turned tragedy into triumph shortly after recovering when within just a week of getting her first prosthetic, she learned how to walk. The following week, she was back in the dance studio, relearning her moves. Her family explained that the only difference now when Tessa is on stage is that she’s simultaneously spreading her message of resilience and following your dreams no matter the circumstance. “My message to the world is life is full of challenges, but never give up on your dreams,” she said.